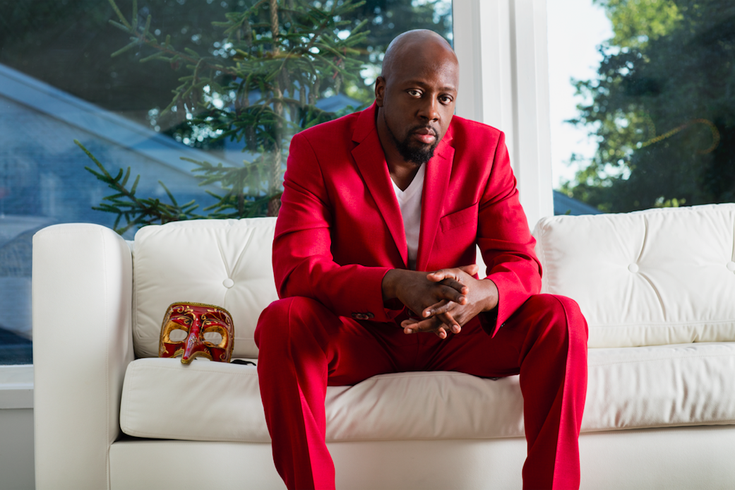 Wyclef Jean appears Saturday, March 31 at Ardmore Music Hall. When it comes to making hip-hop that cares about integration with the sounds of world music – about what young rappers and students have to say, about immigrant cultures such as the one he came from in Haiti – Wyclef Jean is an avatar. Whether through his role as one-third of the Fugees (the 90s Caribbean-inspired hip-hop act that begat Lauryn Hill), his solo career (e.g. the innovative “The Carnival”), or his collaborations with Shakira and Carlos Santana, Jean is a fearless leader when it comes to making music that matters. To coincide with his latest album, “Carnival III: The Fall and Rise of a Refugee,” Jean will play an intimate, live showcase at Ardmore Music Hall on Saturday. Q: Since you’re coming to the Philly area, and since you started your career at Philly’s Ruffhouse label, what are your fondest memories of being here? A: The most amazing thing for us – and me personally – was that Philly allowed me to see the dream clearly. Before Philly, it was foggy, because we were basically getting turned down by everybody and their mamas. Once we got to Philly and Ruffhouse’s Chris Schwartz showed us how a record label should function, the process didn’t feel like a company anymore. It felt like a family. I had so much good vibes in Philly cutting music. Remember, Fugees had the first-ever acoustic hip-hop record. That happened in Philly. That’s big. Q: You made a lot of history here. Several months ago, you led a class at Temple University about youth and hip-hop. What did you glean from that session? A: I always say that with music, you can never stop learning. It’s important to me as someone who went to college – I even went to Berklee College of Music for a short time – to be aware of, and make changes based on the fact that revolutions in technology and social media happen every day. And that they impact the music and open conversations that allow us to share dialogue and analytics back-and-forth. Q: Aren't analytics and social media and technology the background of the new music? Q: When recording “Carnival III,” when did you realize that it was a continuation of the idea you started in 1997, as opposed to doing something different? A: Halfway into the project, it began to feel and sound like global gumbo. I don’t do music as in, "Hey I have an album in me." I do music every day. Suddenly, I’ll realize that this music – as a pack – should go together. So, in the middle of the newest bunch, I realized it was one thing. Listening, too, to what was around also made me realize that there are producers who are 23 now that were listening to "The Carnival" as babies, and that meant something. Q: Such as Young Thug...? A: Yes. He had that beat and lyric on his album called "Wyclef Jean" that reminded me of 1997, only updated. When we chatted, he was like "Yo, 'Clef," and wanted to jam together – 1997 meets 2017. Q: That reminds me of DJ Khaled’s “Wild Thoughts” with Rihanna, which samples your stuff with Carlos Santana. A: Me and Khaled go back to when we were 19 years old in Miami. We’re old friends. I was the first one to put him on television during The Source Awards. Writing music with Santana – it’s our intellectual property – but Carlos doesn’t clear music so easily. Khaled reached out to me then I reached out to my godfather – I call Carlos that – and we needed to have everyone’s approval. Carlos says that we don’t do music. We create vibrations. Music may come and go. Vibrations stay forever. That’s exciting. That has a lot to do with what I’m doing with this tour. I’m not just coming to play the hits in Ardmore. I am sending out vibrations to young millennials who want to hear everything from [Jimmy] Hendrix to Miles [Davis] in my mix. I learn from them. They learn from me. That reinvents me. Q: Along with running to be the President of Haiti – a great responsibility – your lyrics speak of the accountability of leadership and authority. Where does that come from within your family? A: As an immigrant, whether you are from Sicily or you are from Haiti, when you get here, your parents adopt and adapt to this work ethic. They stress that you must never break the law. Get a job and always remember that there is nothing too hard to take on – as long as you take responsibility for it. Q: You mentioned immigrants. Are you nervous that in 2018, America – the great melting pot – will complicate the process of immigration and for "Dreamers?" A: More fear is instilled now than ever before. The border thing doesn’t help. At the end of the day, my parents came here and did everything they could to get legal before they got me from Haiti. I could have been a DACA baby. I believe we have to come to a resolution with DACA. I think Obama had the right idea. These people are here already. They are not criminals. They have been serving our country. No one is against us protecting our border. But turning all immigrants into criminals – that perception – is tainting the love factor that we all used to have as immigrants. We all wanted to be Americans. We all still do. Wyclef Jean will appear Saturday, March 31 at the Ardmore Music Hall. George Stanford (of Townhall) and Kuf Knotz will open. Tickets are $39 in advance; $45 day of show and $55 seated. Show time is 8 p.m.